Our second album will be recorded at the end of February with a release date of April 3rd. Nine original tunes have been penned with a further three covers added to the mix. Once again we will be venturing to Platform Studio with Damon Sawyer at the desk. 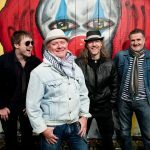 Our first album ‘Borrowed & New’ is available from http://www.voodoo-sheiks.com as will our new offering. 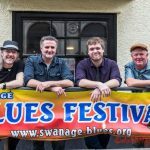 The Swanage Blues Festival invited us back to play at The Anchor Inn, High Street on Sunday March 8th. This great Festival is always well attended by people who know and love their music. It’s a pleasure to go back and be part of it! 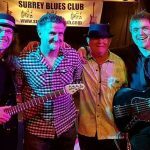 An album launch at The Surrey Blues Club, Hersham is planned for April 3rd and we will have The Sam Paine Trio as our special guests. 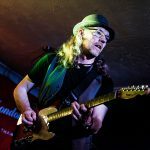 This is the first of two collaborations with Sam Paine, the second being an evening of Rhythm & Blues at The Farnham Maltings on May 7th. 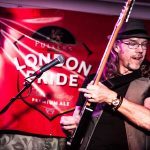 Another exciting piece of news is a second trip to The Half Moon, Putney on July 22nd where once again we will be supporting Laurence Jones. The website is getting a complete overhaul so watch out for a new look! 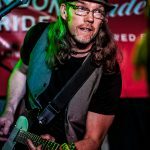 Keep and eye on our website and Facebook page for further news and gigs.